André is a software engineer at INTK, a creative studio specialised in developing online strategies for cultural organisations. His work encompasses the conceptualisation and development of complex online environments. Specialised in presenting great content online and as an active developer of several open source projects, he encourages cultural organisations to make their heritage accessible as open data. Being an advocate for open data and open source software, André has led the work of making museum collections available online. Some of the museums he has helped putting their collections online have been: Teylers Museum, Zeeuws Museum and currently he is working on the Centraal Museum collection. He developed a ‘Google Streetview’ that allows visitors to interact with digitised maps from the 18th century and see illustrations from Amsterdam as if they were Streetview images. Cees has been property insurance broker, responsible for property and business interruption insurances for major (national and multinational) clients. From 1988 Cees became active as fine art insurance broker and took care of the insurances of loans to (extreme) large exhibitions in the Netherlands and elsewhere. His starting points: create the best possible mixture of price, coverage and solvent insurers that have relevant expertise; the coverage must meet the interests of lenders and borrowers; the wording must be accessible, readable and understandable for these parties. Cees advised the Dutch Government in setting up the Indemnity Scheme. His starting points: create the optimum between reduction of the premium and the amount for which the government is risk carrier without creating obstacles for lenders to accept the combination Scheme/insurance. Analysed insurances of several museums, advised how to improve (coverage and premium) the insurances. In 2011 the museum of written communication (Scryption) where Kathy Marchand worked as exhibition designer closed down due to financial deficiencies. She contacted her old classmate Dieuwertje Wijsmuller and asked her advise on how to dismantle a museum collection. Dieuwertje became acquainted with deaccessioning and disposal during their Masters of Museology at the Reinwardt Academy in Amsterdam in 2006. Since then, she specialised in this interesting and at times difficult subject. Together they found the Association of Disinherited Goods (Stichting Onterfd Goed), to raise museological and political awareness on deaccessioning and disposal in the Netherlands. Their first project was dismantling the collection of the closed down museum in a transparent way. The years thereafter Dieuwertje and Kathy worked together on dismantling several collections. Both being entrepreneurs by then, they worked on different locations for museums, municipalities, companies and foundations. They both specialize in different aspects of the phenomenon of deaccessioning and disposal. Kathy’s field of interest lies within the emotional process that every person goes through while ‘letting go’ of objects. She (empirically) studies the psychology of collecting and letting go of attachments. During the deacceassioning process she works closely together with the curators, volunteers and collectors offering guidance, support, trust and executes the hands-on actions to fulfil the assignment with the best outcome possible for objects and persons involved. Dieuwertje focuses on value driven collections management, ensuring that museums have the tools to translate their museums story and its mission statement to core values of their collection and its content. This enables the process of selection for the purpose of possible disposal. In her work she incorporates her knowledge on legal and other aspects of deaccessioning with her pragmatic mentality, helping museums and other institutes to achieve full potential with their collections. The results and the report are found on http://www.museumsanddeaccessioning.eu. As leading experts in their own fields, Dieuwertje and Kathy are in Budapest to share their experience and findings. During the workshop Dieuwertje and Kathy will tackle the issue of deaccessioning and disposal by putting this collections management tool in historical, psychological and instrumental context. They will disclose how the Netherlands executes these processes and will explain the (legal) context of the V4 countries regarding deaccessioning. In an interactive ‘museum game’ the first steps on thinking about and fictively executing deaccessioning and disposal within the value driven collections management thinking, will be taken. Participants will leave the workshop empowered to start the discussion on deaccessioning and disposal within their institutes and/or in their country. President ICOM-Poland, member SAREC ICOM, member of AICA. Professor at the Academy of Fine Arts in Warsaw, Head of Theory Department, Faculty of Graphic Art, deputy director at the King Jan III Palace Museum in Wilanow, Warsaw. Art historian, art critic, museologist; 2010-2012 director of the Institute of Museology , Wyszynski University in Warsaw. Founder of the museological studies. Honorary member of the International Print Triennial Society in Cracow. Juror in many prints and contemporary art competitions. Worked at the National Museum in Warsaw 1979-2008 (curator at the Contemporary Print and Drawing Department, 1995- 2007 – director for collection, research program and education, 2007-2008 general director). From 1986 -2000- lecturing at Warsaw University (Portugal art, museology). 2002-2005 Director of the Young Art Prize and Competition of the President of the Republic of Poland. From 2005 member of Independent Group of Experts, EU Council and member of working groups in the EU program Mobility of Collection. Scholarship and Fellowship: Centro di Studi do Archittetura Andrea Palladio, Vicenza; The Scholarship of the Government of Portugal; Indira Gandhi National Centre for Arts, New Delhi; Institut fur die Wissenschaften vom Menchen, Wien; Goethe Institut, Munchen; Klee-Stifftung Bern – Pro Helvetia, Bern. Publications: ca 340 books, catalogues, curator of ca 54 exhibitions. Dr Tom Flynn is a UK-based art historian and art provenance researcher. He teaches the Professional Practices of the International Art Market at a number of UK Universities and has written widely on art and its markets. He is a co-founder and partner of Flynn & Giovani Art Provenance Research, the UK’s only dedicated provenance research agency. Graduated from the Philosophical Faculty of Comenius University in Bratislava (Department of Art History, 1992, Mgr.) and the Technische Universität Berlin (Institut für Geschichts-wissenschaften und Kunstgeschichte, 2000, Dr. Phil.). From 2001 he was the curator of the Gothic Art Collection in the Slovak National Gallery, since 2005 Head curator of the Old Masters Collection. He has published numerous studies on the history of book illumination, medieval sculpture and panel painting at home and abroad. He is also interested, although to a lesser extent, in 20th century art and architecture and museology. His most important exhibitions are: The History of Slovak Fine Arts — the Gothic (SNG Bratislava, 2003/2004) and D’or et de feu. L’art en Slovaquie a la fin du Moyen Age (Musée de Cluny Paris, 2010/2011), his most recent activities in the field of curating include the exhibition Krv (Blood, SNG, 2013) and collaboration on Art and Nature in Medieval Europe (SNG, SNM — Museum of History, Musée de Cluny, 2013—2014). Since 2013, Dušan Buran is the Chairman of the ICOM Slovakia. Frank Bergevoet has a master of art degree and works for the Netherlands Cultural Heritage Agency/Ministry of Culture. He has 25 year of experience in collections management and worked on issues like: mobility of collections, disposal, conservation and museum statistics. Currently he is occupied with the online accessibility of museum collections and collection strategy planning. Freda Matassa is Director of Matassa Toffolo Ltd, a museum-standard cultural collections management company, offering advice and practical help to private and public collections. Former Head of Collections Management at Tate Galleries and Registrar at the Royal Academy of Arts, London, Freda has a MA degree in art history from the University of Glasgow and Diplomas in Art Law and in Education. She is well known as an international teacher and lecturer on museum practice and is the UK expert on the CEN project for standards in European Museums. She worked on the EC Collections Mobility project and currently advises the UK Department of Culture on Immunity from Seizure. She is the author of Museum Collections Management: A Handbook (Facet Publishing) and Organizing Exhibitions. Her latest book, Valuing Your Collection: A Practical Guide for Museums, Libraries and Archives, was published last year. In this post responsible for aspects of UK’s policy on cultural property including: export licensing and deferrals for National Treasures; Acceptance of Cultural Objects in lieu of Tax; prevention of illicit trafficking; UK indemnity scheme; restitution issues and Spoliation Advisory Panel; Treasure Valuation; UK delegate to various EU committees and UNESCO. Responsible for World Heritage Sites UK policy. Previous career in Civil Service included: Departments of Environment and Transport; Office of Arts & Libraries; Broadcasting Complaints Tribunal; Heritage Lottery Fund; London Arts Board. Awarded OBE for service to cultural property 2010. Kathleen Soriano began her career at the Royal Academy of Arts over 30 years ago. In 1989 she joined the National Portrait Gallery, where as Director of Exhibitions & Collections she was also responsible for national and international programmes. In 2004 she became one of the first cohort of Clore Leadership Fellows, working at the South Bank Centre and the Art Gallery of New South Wales, Sydney. In February 2006 she became Director of Compton Verney, Warwickshire. January 2009 saw her appointed Artistic Director at the Royal Academy. In 2014 she set up her own curatorial, artistic advisory and strategic consultancy company. In addition she has recently acted as Interim Director at Firstsite, Colchester and Artistic Director of the Jakober Foundation, Mallorca. As well as curating many successful exhibitions she has lectured and written extensively in her field and her book Madam and Eve on women artists, is due for publication in April 2018. Her broadcast activities include the four series of Portrait/Landscape Artist of the Year for SkyArts. She is currently Chair of the Liverpool Biennial, and a specialist advisor for the National Trust. Previously she has held roles on the strategic committee of the Grand Palais, Paris, the Wellcome Collection exhibition advisory group, chaired the Churches Conservation Trust’s Art Advisory group, was a founder member of Women Leaders in Museums Network and is currently on the Advisory Board of 2 Temple Place and the editorial board of Apollo. Katherine is the Registrar at the Museum of London, UK, and has been working in the museum industry for over 15 years. Her career began at the Royal Armouries Museum working with historic arms and armour collections. Later, in her role as Collection Registrar within the loans out team at Tate, Katherine worked with historic and contemporary art from paintings and sculpture to time-based media works, organising and delivering loans as well as international touring projects. In her current role, Katherine is involved in a range of collections management activities from acquisition and disposal to exhibitions, loans, policy and training. The collections of the Museum of London include everything from archaeology to art, and social history to oral history. From 2015 – 2017, Katherine held the position of Chair of the UK Registrars Group. Katherine holds a degree in History from the University of Edinburgh, a post-graduate degree in Museums Studies from the University of Leicester, and a Diploma in Art Law and Collections Management from the Institute of Art and Law. She is also a recent graduate of the Getty Leadership Institute’s NextGen2018 programme. Kristine Guzmán is General Coordinator and Curator at MUSAC, Museo de Arte Contemporáneo de Castilla y León. She has worked in the field of Cultural Management since 1999, as exhibitions coordinator of “Espacio Uno” of the Reina Sofía Museum in Madrid, Spain’s collateral event for the 49th Venice Bienal in 2001, and several exhibition and editorial projects at MUSAC from 2003-2009. As part of the founding team of MUSAC in 2003, she has helped build its contemporary art collection of over 1.800 works as Secretary of the Acquisitions Committee. Aside from managing acquisitions and overseeing the conservation of the MUSAC Collection, she currently undertakes several curatorial and editorial projects, as well as directs the AA Art & Architecture Series of MUSAC. She is the current Treasurer of ARMICE (Registrars Association of Spain). Kristine is a graduate of Architecture from the University of Santo Tomas (Philippines) with a Master’s Degree in Restoration Architecture from the Universidad Politécnica de Madrid (Spain), and a Diploma in Cultural Management from the Fundación Duques de Soria. Studied at the Masaryk University in Brno. She had been working in The Moravian Gallery in Brno as curator of furniture collection, Josef Hoffmann Museum in Brtnice and Dušan Jurkovič House in Brno (2001-2011), in The City of Prague Museum as curator of the collection of applied arts (2012-2014), in The Museum of Decorative Arts in Prague as curator (2015-2017). Since 2017 she has been director at The Lidice Memorial. 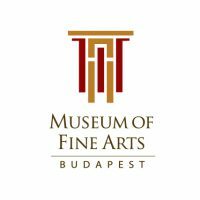 Since 2007 she is member of The International Council of Museums (ICOM), since 2011 member of board of ICOM Czech Republic, since 2015 chair of ICOM Czech Republic. In 2015 participated on the preparation of UNESCO Recommendation concerning the Protection and Promotion of Museums and Collections, their Diversity and their Role in Society. She participated at organisation of many international conferencies, latest one was Presumption to Responsibility. Museums and contested history. Saying the unspeakable in museums organised by ICOM Czech Republic, ICOM Austria, ICOM Slovakia and was held 22.-24.11.2017 in Czech Republic in Brno. Peter van Mensch is a free-lance museologist with Dutch nationality, living partly in Berlin and partly in Northern-Bohemia. He earned his PhD degree at the University of Zagreb, and held academic positions at the Amsterdam School of the Arts, Vilnius University and the University of Bergamo. As member of ICOM he was active in the International Committee for Museology (serving as its president in 1989-1993), and in the International Committee for Collecting of which last committee he was one of the founders. His research interests are the history, theory and ethics of musealisation and collection development, and the development of museological theory in the 20th century. Dr. Susanna Pettersson is Director of the Ateneum Art Museum, Finnish National Gallery. Prior to this she was Director of the Finnish Institute in London. Dr. Pettersson has worked for more than twenty years in museums. Her posts have included Director of the Alvar Aalto Foundation and Museum and Director of Development at the Finnish National Gallery. She is also Adjunct Professor in Museology at the University of Jyväskylä, Finland, and Associate Professor at the Reinwardt Academy in Amsterdam, the Netherlands. She has participated in several national public governance and international working groups such as European Union’s OMC working group on Collections Mobility (2008-2010). Dr. Pettersson’s research interests include museum history, collection studies, history of art history as well as 19th -century and modern art. Her positions of trust include Board Membership of Aalto University (Finland) and she is also President of the Board of the Finnish Institute in Japan. Trilce Navarrete is a specialist in the economic and historic aspects of digital heritage. She is currently lecturer at the Erasmus University where she teaches the application of economic theory to understand the arts and culture. Her research looks at the changes brought to museums and their audiences through the adoption of digital technologies. She has contributed to the creation of the European statistics for digital heritage, has served as advisor for the creation and evaluation of (national) digital infrastructures, and has being part of several European funded research projects. Navarrete was responsible for the first national documentation of the economic historic of digital heritage, focused on Dutch museums. Navarrete holds a PhD in Humanities, an MA in Cultural Economics, MA in Museum Management, and a BA in Art History. Her work merges theories of economics, heritage, and information science to support understanding of digital heritage production, distribution, and consumption.